Aegis Living is the leader in assisted livingthanks in great part to its cutting-edge approach to helping seniors make the most of their lives and retain memory function. The staff scour the world searching for the best health practices, and the communities are big believers in alternative and holistic medicine used in conjunction with Western medicine. The community at Aegis on Madison is taking an innovative step in the direction of holistic healing by opening its own in-house apothecary. Aegis on Madison has already had a non-dispensing apothecary installed in-house. The display served to showcase the different herbs and fungus that one might use for homeopathic remedies. It was also a way of exhibiting the community’s openness to alternative methods. But with the help of the Bastyr University Center for Natural Health, the Pacific Northwest’s biggest natural medicine center, the community opened its own functional, in-house clinic to provide free alternative care. During an interview, Aegis on Madison’s general manager revealed that sense of community played a large part in the desire for an apothecary. Aegis Living has actually had a long history with Bastyr, which has contributed to the development of some of its gardens, such as at the Aegis of Bellevue location. Together, they’ve discussed different homeopathic remedies and approaches to aging and memory loss that have been implemented to help seniors stay happy and healthy in their golden years. 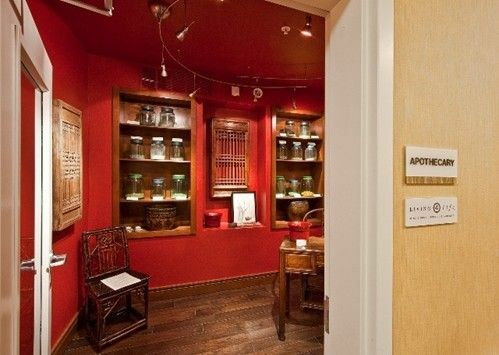 The apothecary accepts appointments that can be made through the Aegis on Madison concierge desk. The clinic welcomes both Aegis residents and people from the community in general. For every Friday afternoon, there are nine clinicians on hand, including experienced physicians who oversee the Bastyr clinic and students who are very close (in their final year) to receiving their doctor’s credentials. They provide care for a wide variety of conditions, including diabetes, stroke, hypertension, digestive issues, arthritis, the common cold and cognitive conditions. The Bastyr physicians and students spend a significant amount of time with every patient – each receives about an hour of time with a clinician per visit. In a typical visit, the patient goes through an intake, providing information such as basic health history and previous sources of care. Then, the clinician gets to know the patient from a holistic standpoint and determines the patients needs as well as the best approach to meet them. The treatment options include vitamins, minerals, herbs and other supplements entirely free of cost – Bastyr University generously supplies patients with all the supplements and herbal remedies for treatment. Located in Kenmore, Bastyr University is the preeminent university in the country focused on naturopathic remedies and acupuncture. The Bastyr Center for Natural Health is the university’s teaching clinic, offering care for people of all demographics and age groups. The center also offers a variety of other services, including nutritional guidance, counseling and acupuncture. The apothecary at Aegis on Madison will continue to serve seniors and staff as well as local community members into perpetuity. Aegis Living hopes the Seattle-based assisted living community can continue to collaborate with Bastyr clinics on new projects in the future. For example, the natural health center provides nutrition services and cooking courses, exercise regimens and other elements that can be incorporated into Aegis locations for the betterment of senior health.